I've posted a few times now that my son's Primary school has a very very tight budget and West Sussex schools have the worst in the country. So it is very important for me to help where I can in raising much-needed funds to help his school keep his teaching assistants, school day trips and stationery paid for by the school! 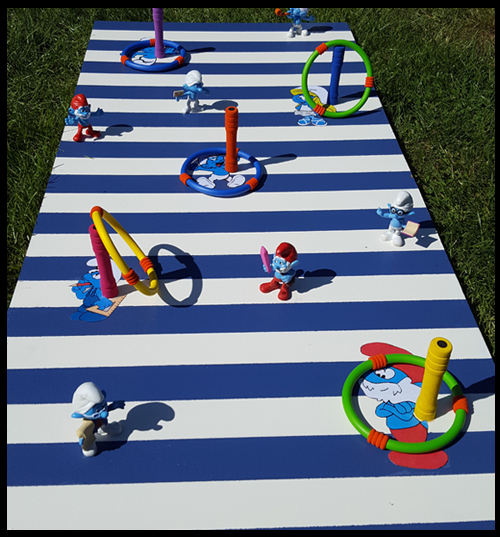 One of the ways my family can help is to create games for the summer and Christmas fairs, thanks to my hoarding skills, free up pages on Facebook and brands that I work with we managed to make 2 new games for the Summer fete that cost us a grand total of £11 to make!! The school had been given a lot of costume jewellery a few years ago, so this year we decided to use one of the tuff spots, fill it with sand and have the children dig for treasure. The game sold out within the hour! When I'm at fairs and fetes I am always looking at the games to see how we can incorporate them for the school. 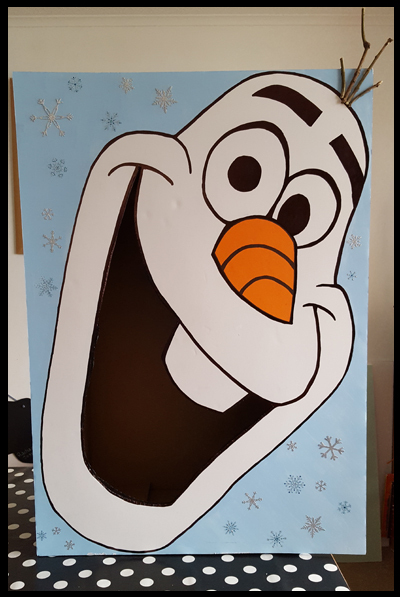 Throwing games are always popular so we created the Olaf ball game at Christmas (as he has such a lovely big mouth) and had the children try and throw 3 balls into it. You will need a cardboard cake board, MDF and a little bit of elbow grease for this one. 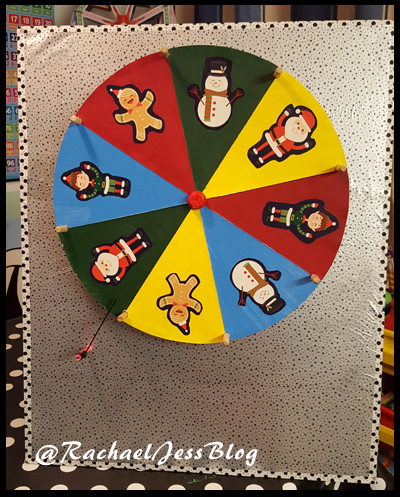 We had the board in the garage and the cake board was not very expensive, so a thrifty spinning wheel was born and drew the crowds in. 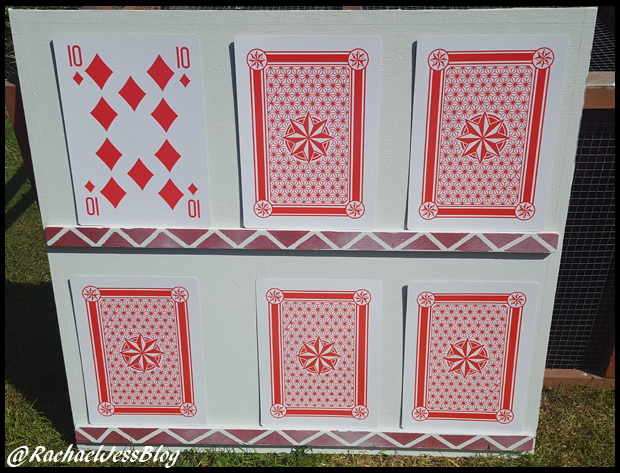 If you thought the buried treasure was a great thrifty idea, then get yourself some giant playing cards! 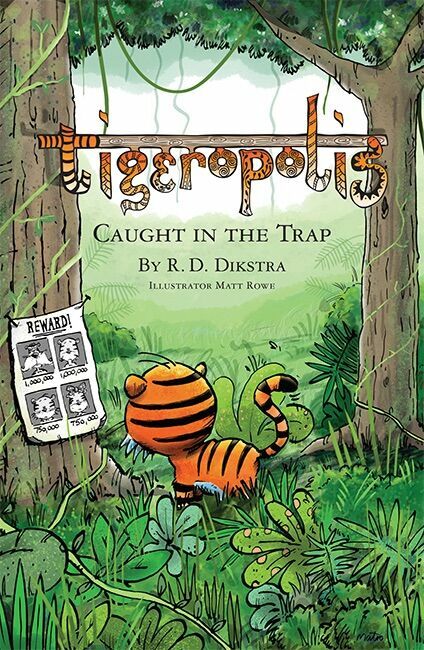 The kids will love this one! All you need is something to place your cards on and you have your own Thrifty card game for the summer fair. With some MDF and a £6 Hoopla game from Asda, this one was a huge success at the fair. 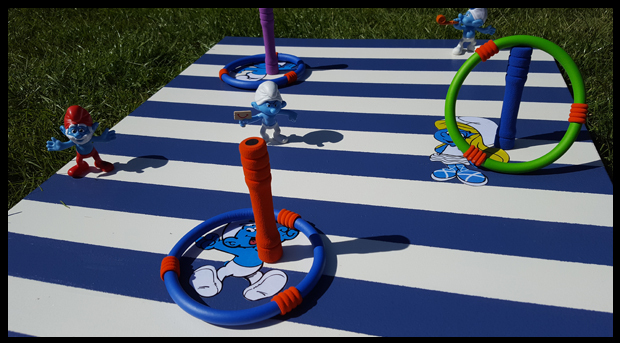 The Smurfs are doubles from McDonald toys, which you can pick up at car boots, charity shops and your local freecycle pages - so for a lick of paint, some doubles and pegs we really did have a winner with this a thrifty Hoopla game. These all look so fun. I used to enjoy watching Play Your Cards Right. Could you perhaps make a giant grid, lay it flat on table and cover it with a paper map. Some grid compartments contain prizes and some don't. Kids then poke holes through the paper map. 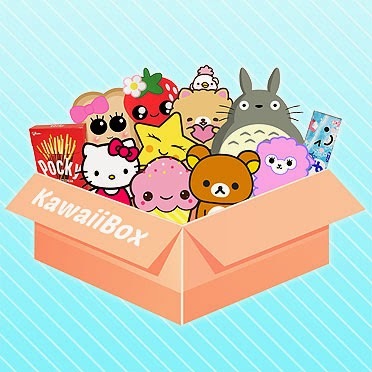 Or alternatively a vertical grid with mini drawers, again with only some containing the prizes. Ohh I like those, a bit like an advent box?